Today is Digital Learning Day, a day when educators join together and take the pledge to make digital learning a priority. To learn more about the movement, click here. To celebrate digital learning day, things didn’t look all that different in my class. My students are very connected to the computer through their kidblog site. A few weeks ago we started a new writing project. For this writing, I wanted my students to combine elements of fiction and nonfiction. We used the Magic Treehouse books as a model. I don’t usually set a word count for writing, but for this one, we talked about it and decided the goal would be 1000-1500 words, with at least 5 chapters. I think this has worked well to make them think bigger. 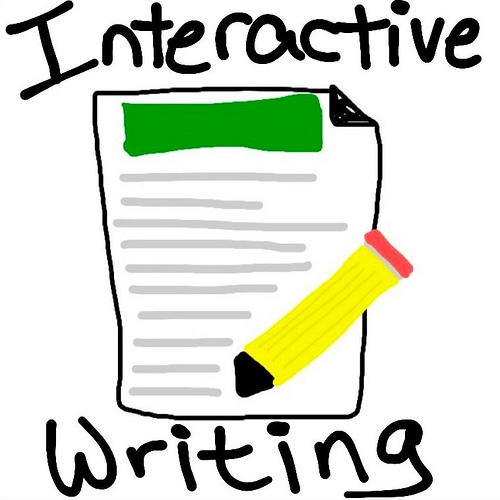 And they are writing…a lot! Almost every day, our kidblog site is updated with new chapters. As a digital component of this writing project, I taught my students how to make a PowerPoint picture into a jpeg. The PowerPoint program allows them to layer pictures and text, group them together, and paste the image into Paint to save as an image file. The image file will be used in a movie or Animoto book trailer. Tyler made this image using PowerPoint. 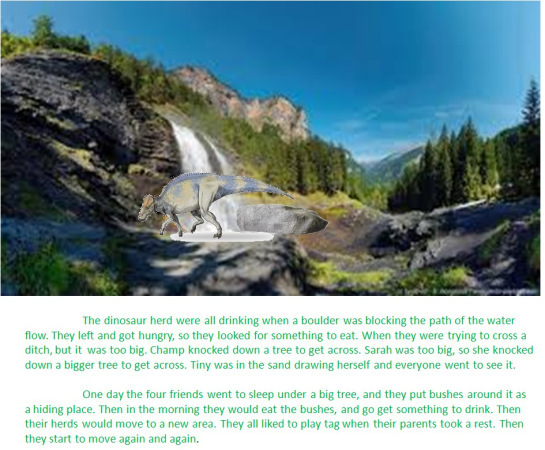 He layered a waterfall image with a rock (boulder), a dinosaur, and a pool of water. He placed his text below as in a real picture book. He will build a movie in MovieMaker to “show” his book. Matthew chose to make a book trailer in Animoto about his book. All his images were pulled from the Animoto site.